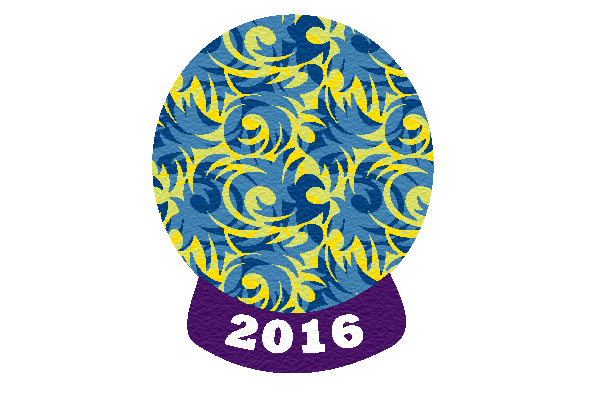 Digital Predictions 2016 | What will happen in 2016? A New Year has arrived and now that the fireworks have disappeared and everyone is back at work, it’s time for Arrk to deliver its annual digital predictions for the year ahead. If you want to see how we fared last year, then you can look back at our Digital Predictions for 2015 – but now, let’s gaze into our crystal ball. Here are our predictions for the next 12 months. We’re starting with a pretty “safe” prediction for our number one choice – after all, anyone who has been on YouTube or Facebook recently will already have been driven crazy by video advertising. However, while video advertising is already successful it hasn’t yet become the dominant figure in the search environment: but it’s about to. Google is already incorporating video within search so, if you have a company and you’re looking to promote, you will be able to deliver video messages to consumers rather than just text advertisements. The details of how they will be incorporated into search results remains to be seen, but there is little doubt that this will have a huge impact on marketing in 2016. Streaming has become ultra-competitive, as highlighted by the recent purchase of Rdio from Pandora. It seems it has become vital for these companies to operate on a grand scale because without these sizeable customer bases they won’t be able to produce the revenue they need. As such, expect the streaming base to shrink during 2016 with more popular services swallowing the smaller offerings. Perhaps the most obvious, but also the most important choice: expect users to take centre-stage in the digital world during 2016. In particular, there will be a clear focus on user-oriented design. In the past, companies often built designs around what they expected consumers to want – in 2016, we can expect more market research to see if users are getting exactly what they need from your website at all times. Have you heard of Figma? If you’re involved with digital design then it might be about to reshape your entire approach – its design meets the internet. The idea is that design will move away from the traditional art-board and will instead take place within the window of the browser with a focus on interaction rather than layout. Social media, and Facebook in particular, has often been seen as a detriment to business – driving productive workers away from the task at hand and on to their social lives. However, Facebook now has more than 45million business pages within its platform and now you can expect Facebook messenger to take off for business too. The idea is that rather than it being positioned simply as a messenger app, it will instead become a way for businesses and consumers to interact – including making bookings, sales, etc. Expect web design to reach new, exciting standards in 2016 with vibrant and bold colours instead of the flat and safe palettes that we have become so accustomed to. Cinemagraphs and illustrations are likely to sit alongside HD imagery and background videos as the whole approach to design takes a fresher, more captivating approach. On a wider scale, expect autonomous driving technology to develop rapidly during 2016. The likes of Google and Tesla were already pushing the concept heavily in 2015 thanks largely to its outstanding safety record. Of course it’s going to be a long time before we see autonomous driving on a large scale because of the commercial, ethical and legal implications involved – but expect the issue of its development to take centre stage in 2016 rather than sitting as a niche idea. With Apple purchasing VocalIQ, it’s fair to say that voice technology is going to become increasingly important. The hope is that AI technology and machine learning will help to make voice technology as representative as possible of real human conversation. It is likely that we see both hardware and software that is increasingly voice activated across a host of technological areas. We have already spoken about video advertising in search – and another major reform to Google results is that app content will quickly be included. Google is already starting to index deep pages and links for apps across significant numbers of search results – and it’s likely that app content is soon going to pop up and potentially push websites down rankings. As such, it’s going to be more important than ever to get your app content right – with searchable content, apps have the potential to work even harder for your business. So technically, Apply Pay launched in October 2014 but it wasn’t until midway through 2015 that it arrived in the UK, so the fact is for many the ability to pay for stuff using their smartphone hasn’t yet registered, this will change and we predict that this year will see great swathes of smartphone users begin using their device to make transactions. And for early adopters mobile payments will become second nature, with more frequent and higher value purchases being made using this technology.